Even after volunteering, I still managed to put in a 10 mile ride of the Ponds in southeast Portland. I love this ride! Can’t wait to share it with others at Pedalpalooza. 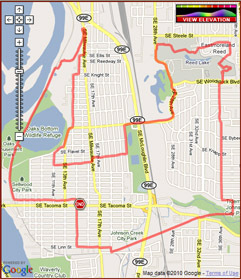 05/01/2010 PondsFind more Bike Rides in Portland, Oregon Below is for Facebook thumbnail. © 2019 techdruid.com. All Rights Reserved.